Phil Lord and Christopher Miller, are the creative minds behind “The Lego Movie.” Boasting a brand-new visual style that’s the first of its kind. 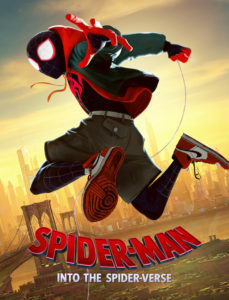 Brooklyn teen Miles Morales, is voiced by Sameik Moore stars. Voice cast includes Jake Johnson, Hailee Steinfeld, Lily Tomlin and more.